Another NOTD, sorry if you don't like these but been getting really into my Nail polishes again recently and as my last post - here - on Barry M's Berry Ice Cream was such a hit I thought I'd post this one up. I bought this a few months ago but have only just gotten round to trying it out. I have a slight love/hate relationship with yellow polish, I think you have to find the right yellow polish for your skin tone otherwise it can look a bit garish. This is quite a cream/pastel polish compared to some of the other yellow polishes that are out there at the moment, I've bought some that were more on the neon/bold side of things that just looked wrong with my paler skin (e.g Maybelline NYC Yellow Polish, would look amazing on someone with a good tan, but was just not right for my pre-summer pale skin), but, I kinda really like this polish, it's just got a slightly paler tone to it that I think will make it easier for most people to wear it. One word of warning though - when removing this, I found that the skin around my nails got a kind of a yellow-y stain so be careful when removing not to rub the pad around the skin otherwise it just sticks and makes your fingers look a bit jaundiced. 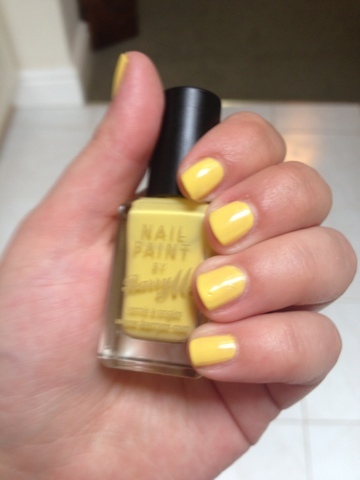 These sell for around the £2.99 mark in most chemists/supermarkets that sell Barry M.
What do you think? Are you a fan of the Barry M "Ice Cream" pastel polishes? 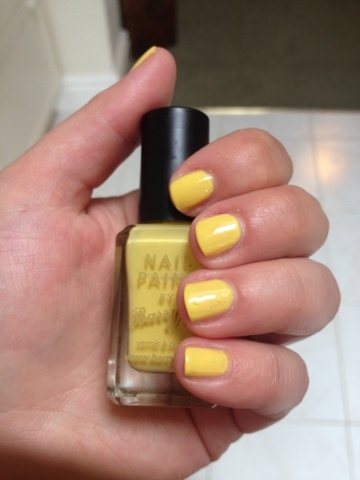 8 comments on "Barry M Lemon Ice Cream Nail Polish"
This polish is grogeous. 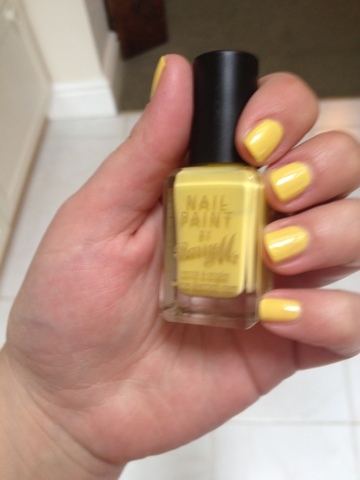 It's a shame they don't sell Barry M in the US, I'm definitely going to have to hunt for a shade similar to this color!